KUWAIT: Health Minister Jamal Al-Harbi yesterday said a joint permanent committee would be formed to set the general policies of the Health Insurance Company (Daman) hospitals and guarantee due medical services to expats in the private sector. Resolution 401 has defined the committee’s tasks, which include providing support and coordinating with government bodies on the company’s activities, besides following up and streamlining all technical, administrative and financial matters, the minister told KUNA. It will also seek coordination to secure the company’s financial rights, in addition to issuing resolutions based on the ministry’s data, the applied systems and the medical licenses, he noted. According to Harbi, the committee can form subcommittees and assign them with certain tasks. The committee’s resolutions will be referred to the minister for endorsement. Once the committee is formed, Daman will embark on building three hospitals in different health directorates, in addition to 15 medical centers to offer primary care to about two million insurance-paying expats working for the private sector. Specialized care, neurosurgery, and heart and eye surgery will be provided at state hospitals, the minister said. 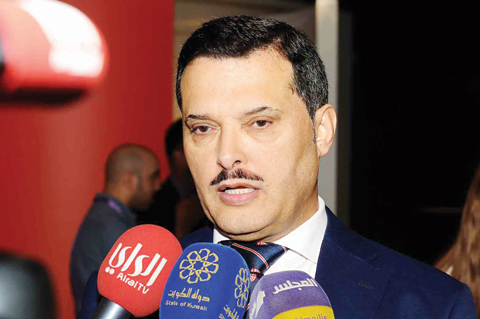 The formation of the permanent committee is in line with Kuwait’s development plan, Daman’s CEO Dr Ahmad Al-Saleh said. He expected the project to start operation with the beginning of 2018, as part of the “New Kuwait” vision. The company plans to invest up to KD 180 million ($593.4 million) on the infrastructure projects over the coming period, he added, noting that overall operation is expected to take place in 2020.